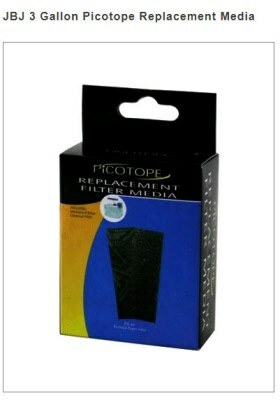 Designed for the JBJ 3G Picotope aquarium filter and other filters requiring a sponge block. The nano cube sponge design provides mechanical filtering of solid waste matter from your aquarium water. This will also prevent early clogging of other filter media in the filter path. Sponge Filter Media should be replaced approximately every month. Alternate the replacement of the Sponge Filter Media with Activated Carbon Media to maintain biological filtration.